Data as a Service is a new approach for organizations to maximize the value of their data. It is a strategic initiative in consolidating and organizing your enterprise data in one place, then making it available to serve new and existing digital apps. For many organizations, Data as a Service becomes their system of innovation, exposing previously siloed data as a cross-enterprise asset. It unlocks data from legacy systems to drive new applications and digital systems, without the risk of disrupting existing backends. 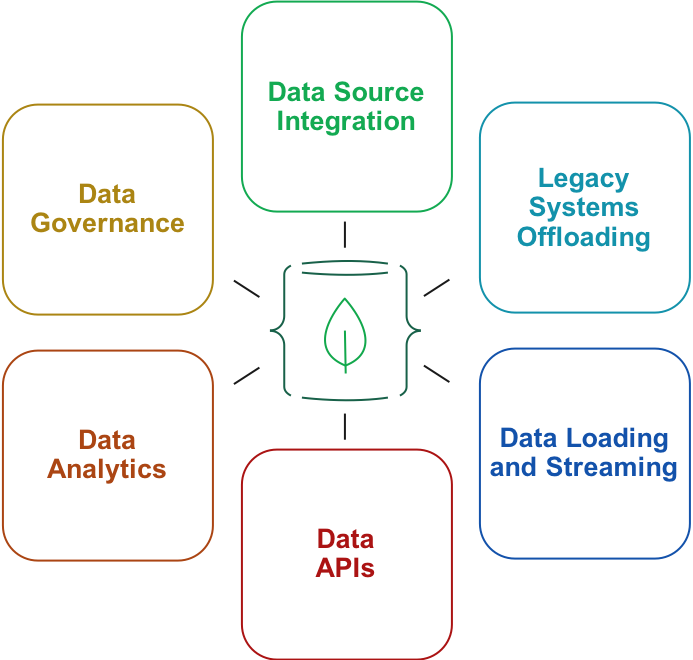 Data Layer Realization from MongoDB Professional Services provides a methodology and best practices for delivering Data as a Service by implementing an Operational Data Layer (ODL). The ODL sits in front of your legacy platforms, drawing data from one or many source systems and serving it to one or many consuming applications. Whether you are looking to build a single view of your customer, offload traffic from mainframes to expose data to new web and mobile apps, or bring disparate enterprise data together for AI and machine learning, the ODL leaves your existing systems untouched. A repeatable step-by-step implementation methodology for integrating disparate data sources into a single view for agile delivery of business use cases. Reference architectures for establishing an Operational Data Layer and strategies for offloading work from mainframes and other legacy systems. Design and implementation of ETL pipelines, data merging logic, and real-time data streaming. Best practices for API design and low-code implementation using MongoDB Stitch. Integration with industry-standard reporting and analytics tools. Best practices for data stewardship, sovereignty, and security. Constructing an Operational Data Layer begins with defining the ODL scope and success metrics, plus appointing executive sponsors. This is followed by the identification of the business entities and applications which will use data (Data Consumers), which then focuses work to identify the sources of required data (Data Producers). Once the groundwork is laid, development and deployment follows a sequence of steps that can be repeated to iteratively add new access patterns, consuming applications and data sources to address new and changing business requirements. All MongoDB services are delivered according to our standard delivery methodology - Discover, Design, Implement, Validate, Optimize. This provides a structure for the repeatable and comprehensive delivery of advisory and technical expertise. Our delivery methodology can align to both waterfall and agile development processes. At every stage of delivery we work closely with customer leadership, program management, development and operations teams.